Rye whiskey has seen somewhat of a renaissance across the United States, and we couldn’t be happier. Spicier, more aggressive, and infinitely heftier than the ever-popular bourbon, rye is the enforcer of the whiskey world. While scotch may have its smoke, and bourbon may have its sweet, there’s nothing that can compare to the uniqueness of a well-made rye. 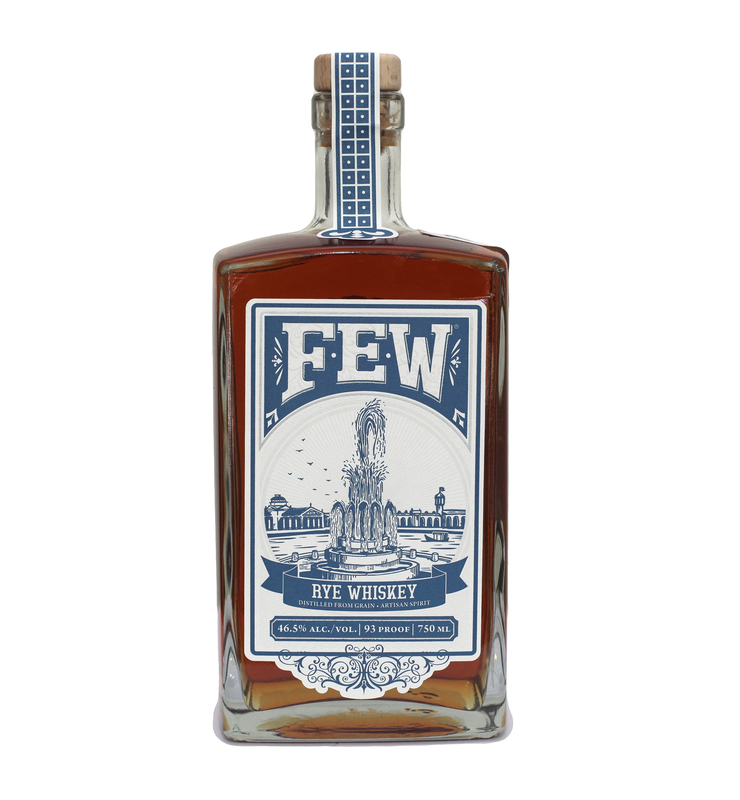 With a hefty bit of rye finished in oak barrels, we’re excited to dig into the FEW Rye offering. The nose comes on fast with bright oak, with some deeper pepper on the end. Hints of hay and grain. White and black pepper lingers on the end. White pepper on the front with hints of cayenne and raw grain. Bits of caramel at the end. Lots of depth in this rye, with a wonderful unpolished edge to it. The oak that you get in the first part on the nose doesn’t show up to the party until the end, with lingering bits of wood. The nose deepens into a sweeter, more sugary scent. The wood moves to the front of the palate, but the bright pepperiness of the rye still dominates the dram. The raw grain still lingers in the back, giving it just a bit of sweetness to temper the bite. It has a lighter mouth feel that easily spreads across the tongue and dominates the palate. This is one of the best rye whiskies we’ve tasted at Cocktails, 365. It lacks some of the depth of a more aged spirit, but it’s that rawness that adds to the appeal. It’s powerful, spicy, and has just the right amount of depth. Agreed, I absolutely loved their Rye!